In his first visit to campus as a hierarch, His Grace The Right Rev. John Abdalah, auxiliary bishop for the Antiochian Archdiocese's Diocese of Worcester and New England, presided over the liturgy for the Feast of the Nativity of the Theotokos at Three Hierarchs Chapel on campus. Bishop John received his Master of Divinity degree with the Class of 1984. For 33 years, he served as a priest of the Self-Ruled Antiochian Archdiocese of North America, before being consecrated as Auxiliary of the Diocese of Worcester and New England on December 11, 2011. He also holds a Doctor of Ministry degree in Pastoral Care from Pittsburgh Theological School, a Master's equivalency certificate in Pastoral Counseling from Pittsburgh Pastoral Institute, and a Bachelor of Science in Business Administration from Suffolk University in Boston, Massachusetts. As a late summer storm blew through the Westchester County campus, bringing wind and rain that relentlessly pounded the chapel, His Grace calmly and joyfully served alongside other Antiochian and seminary clergy. 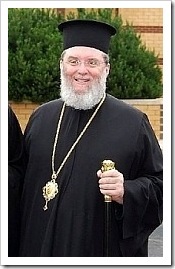 We regret to announce the repose in the Lord of the Servant of God Archimandrite CONSTANTINE Atanas Yanney, Pastor Emeritus of our community. Fr. Constantine was born in Antioch on January 26, 1926. 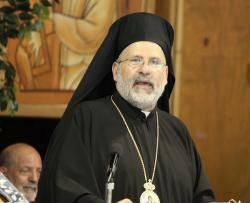 He studied in Damascus and Greece, where he obtained a degree from the Theological Faculty at the University of Athens. 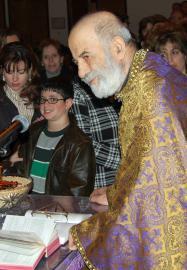 He was ordained as Deacon and Priest in Damascus in 1968 by His Beatitude Patriarch Theodosius. From 1968, Fr. 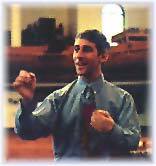 Constantine served as pastor at Holy Cross Church in Damascus before being appointed as pastor of St. George Church in Bagdad, Iraq in 1989. In 1989, Fr. 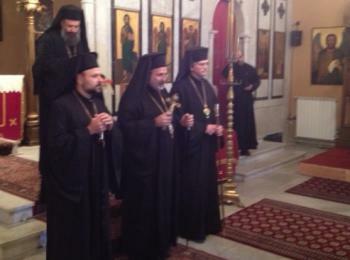 Constantine was elevated to the rank of Archimandrite by Metropolitan Constantine of Bagdad. In 1990, Archimandrite Constantine came to Boston to visit his sisters. While he was here, the first Gulf War broke out and he was unable to return to Bagdad. Father was officially attached to St. George of Boston and served as our ‘Pastor Emeritus’ during these past twenty-two years. A humble, peaceful and saintly priest, Fr. Constantine was deeply loved by the parishioners and by his fellow clergy. We will dearly miss his prayerful presence at the altar. He is survived by his beloved sister, Joslene Hajj and her husband Tony and by many nephews and nieces and their children. Fr. Constantine suffered a heart attack the evening of August 21 at his home in West Roxbury and reposed at the Falkner Hospital during the night. Friday August 24th - at 1 p.m. Bishop +John and the clergy of the Diocese will assemble at the Kfoury Funeral Home – 8 Spring Street, West Roxbury to anoint and vest the body of Fr. Constantine in preparation for the procession to the Church. 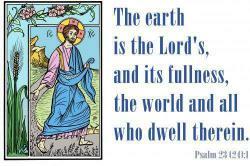 Mother NektariaThe 2013 Diocese of Wichita Parish Life Conference will be hosted by St. Basil the Great Church in Kansas City, KS. Dates are Wednesday to Saturday, June 5-8, 2013. 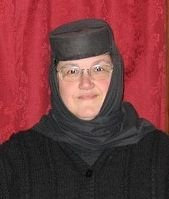 Keynote speaker will be Mother Nektaria of St. Paul Skete in Grand Junction, Tennessee (90 minutes east of Memphis). Please check back for more information, or visit the 2013 Diocese of Wichita Parish Life Conference Facebook page. Souvenir Journal ads are currently being accepted. Please use the mail-in form (PDF) at www.plckc2013.com/docs/Souvenir-Journal.pdf. Scene from Lobster BakeThe rocky cliffs of the Atlantic in Ogunquit, Maine were the setting for the 74th Annual Parish Life Conference in New England and the first with Bishop John Abdalah. 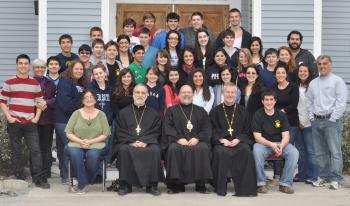 The PLC took place June 21-24 and was hosted by the parish of Saint George in Norwood, MA. The incredibly scenic location and a new hierarch helped make this one of best attended conferences in many years. 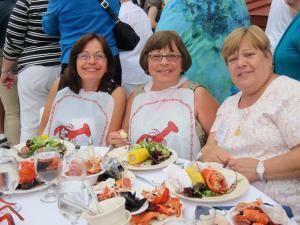 The hotel sold out early as did the Lobster Bake and Awards Dinner. 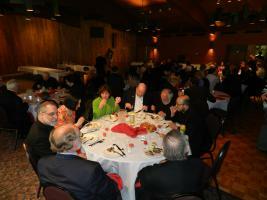 Over 400 clergy and parishioners spent four days at the Cliff House taking care of business and enjoying fellowship. The meetings and workshops were well attended; the Bible Bowl and Oratorical Festival were filled with excitement and the finals of "New England's Got Talent" was an awesome display of the musical abilities of the faithful. Photos from the Conference can be viewed at DropBox. 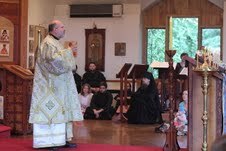 On Saturday May 26, 2012, His Grace Bishop John Abdalah addressed the graduates of St. Tikhon's Seminary at the institution's 70th annual commencement. The website Oca.org notes that "he gave a moving address on human nature and the freedom of mankind to embody Godly principles or to place himself as a stumbling block to his brother." His speech, published in the June 2012 issue of The Word, has something valuable to say to all graduates of the Class of 2012. Mumma, see the tiny ducks? On the shore the old hen clucks. Mumma, tell me, what’s the matter? Why she’s making such a clatter? While the ducklings paddling go. Why they’re swimming from the land. She’s afraid the water’ll hurt them. Into chicks she can’t convert them. On June 6-9, the Diocese of Wichita and Mid-America will kick off the Antiochian Archdiocese's Parish Life Conference season, which is themed "The Bible fills us with eternal joy." 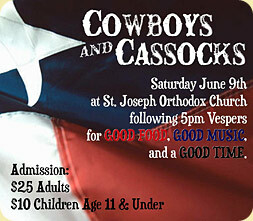 The Houston gathering is sponsored by St. Joseph Orthodox Church. Alexei D. Krindatch, Research Coordinator for the Assembly of Canonical Orthodox Bishops of North and Central America, will be the keynote speaker, and attendees will enjoy southern hospitality at events such as the Saturday evening dinner, "Cowboys and Cassocks." Also in June, the Diocese of Worcester and New England will hold their Parish Life Conference on June 21-24. Hosted by St. George Church in Norwood, MA, participants will stay at the Cliff House in Ogunquit, Maine, on the Atlantic Coast. This will be Bishop John Abdalah's first conference as presiding bishop, and the coastal atmosphere will be enhanced by events such as the Maine Clambake. Three more dioceses will gather in June: Miami and the Southeast; Toledo and the Midwest; and Ottawa, Eastern Canada and Upstate New York. Finally, the Los Angeles and Eagle River, and Charleston and New York, conferences will be held over the long holiday weekend of July 4-8. Visit the Conventions and Conference Planning page, or the Antiochian Events website, for registration and information. 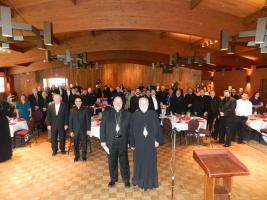 On Bright Tuesday, April 17, 2012, Bishop John of the Diocese of Worcester and New England and a number of Antiochian clergy with their wives and children gathered at the Greek Metropolis of Boston at the invitation of His Eminence Metropolitan Methodius to enjoy a meal with him and his clergy. This annual Bright Tuesday meal had been a tradition of the Greek Metropolis for many years, but the invitation to the Antiochian Bishop and clergy was unprecedented and warmly received. Some attendees expressed the hope that this gathering would presage many more opportunities for Orthodox Christians in Boston, clergy and laity, of different jurisdictions to come together for fellowship. St. Tikhon’s Orthodox Theological Seminary has announced that the 2012 commencement address will be offered by His Grace Bishop John (Abdalah). Bishop John is the Auxiliary Bishop for Worcester and New England and the editor of the WORD magazine. The Seminary's Commencement always takes place on the last weekend in May, coinciding with the annual Memorial Day Liturgy and festivities hosted by the Seminary. This year the ceremony falls on May 26. Bishop John served as a priest of the Antiochian Archdiocese of North America for 33 years and was Dean of St. George Cathedral in Pittsburgh, Pennsylvania for 16 of those years. The Seminary is also located in Pennsylvania, in the community of South Canaan. 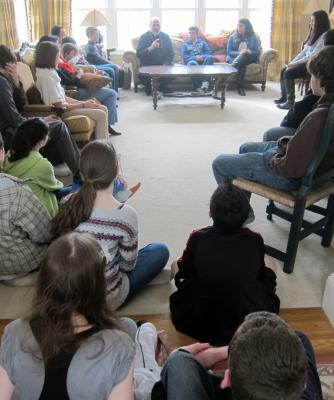 On March 3, 2012, many young people from the Diocese Of Worcester and New England (self-proclaimed DOWNE) gathered for a Youth Day celebration at His Grace Bishop John's house. Those who attended sat with His Grace to learn the purpose of Orthodoxy, including the three points that make us Orthodox Christians: We partake of the same Communion, we all believe the words of the Nicene Creed, and we all submit to a bishop. His Grace also informed the youth that his job is to keep his diocese united and to keep it Orthodox. By submitting to him, the members of the Diocese of Worcester are united to one another, and the Diocese is connected to others in the Archdiocese through Metropolitan Philip, to whom all Antiochian Orthodox bishops in America have submitted. His Grace then emphasized the importance of reaching out to American Orthodox Churches outside the Antiochian Archdiocese. The Greeks, the Russians, and all others hold the exact same beliefs as we do. We can commune in their churches as they can in ours. In today's society, it is important that we remain united with our sister churches and do not allow cultural differences to hold us back from mingling. If we visit other churches and socialize outside the Antiochian Archdiocese, we will strengthen the bonds between the Orthodox Churches in America and throughout the world. My name is Nadia, and I am a thirteen year old Orthodox Christian. I have attended the St. George Norwood parish ever since I remember. This is my first year in Teen SOYO and the first year I traveled to New Hampshire for the annual Lenten Retreat. It was one of the most enlightening experiences I have had as an Orthodox Christian. Chris Holwey, Chairman of the Antiochian Archdiocese Department of Sacred Music reports, "It is with great pleasure that I announce to you that, after receiving the blessing from His Grace, Bishop John of New England, and the full support of Paul Jabara, interim Diocesan Coordinator for New England, I have appointed Charlie Marge as the new Diocesan Coordinator for the Diocese of New England. I would also like to thank Paul Jabara for the help he gave to the Diocese these past two and a half years. He will continue to serve this department as our Coordinator for the Sacred Music Institute at the Antiochian Village each July, and as the great musician, director and friend that he is. May God grant you many years!" [SVOTS Communications, Yonkers, NY] Dr. Vigen Guroian, professor of Religious Studies at the University of Virginia, will lead the annual public lenten retreat this year at St. Vladimir’s Orthodox Theological Seminary, Yonkers, NY, on Saturday, March 31, 2012. The retreat will begin with Divine Liturgy in Three Hierarchs Chapel at 9 a.m., followed by a lenten brunch, and two presentations by Dr. Guroian, to be held in the John G. Rangos Family Building. Dr. Guroian has authored of a number of books, many on morality and ethics, and many that are meditative in content, such as Inheriting Paradise: Meditations on Gardening. Dr. Guroian will base the content of this year's retreat on his latest book, Melody of Faith: Theology in an Orthodox Key (Eerdmans, 2010). The price of registration is $10 (with brunch) or free (without brunch), but all participants must register. See the seminary’s Website for more details: www.svots.edu. Photo by Christopher Humphrey PhotographyLent is not only a time for personal renewal; it is a time for parish renewal as well. The Church is reborn every time someone enters the community. This is true even when the new member comes from another Orthodox parish, or a Christian communion outside the Orthodox Church, or is baptized as an infant or adult. The community is changed to make room for the new member who will build relationships, assume responsibilities, and even need to find a place to stand and sit in the worship. To be deliberate about our parish renewal through this transition, the Church has appointed this Lenten time of fasting and intense prayers. We rediscover our roots with our new members as we read during the weeks of Lent from the Old Testament. We rediscover our innocence as the catechumens ask questions and express delight at the Orthodox perspectives. We regain our fervor as see the community grow and see how God is active in the lives of the catechumens and in our own. Video of the consecration service is available online. View a YouTube video of consecration service excerpts. On Sunday, December 11, 2011, three new auxiliary bishops were consecrated for the Self-Ruled Antiochian Orthodox Christian Archdiocese of North America at the Church of the Dormition of the Theotokos in the Patriarchal Monastery of Our Lady of Balamand, Balamand, Lebanon. Their Graces, JOHN, ANTHONY and NICHOLAS were consecrated as bishops of Worcester, Toledo, and Brooklyn and will serve as auxiliaries to His Eminence, Metropolitan PHILIP. We ask that our faithful pray for the delegation currently travelling to Lebanon for the consecrations of our new bishops. May God grant them many, many years! The Middle Eastern media resource Noursat will be broadcasting online the consecration services with His Beatitude Ignatius IV. See this link for additional information. More details will be added as they are made available. During the weekend of October 14th through 16th, the Archdiocesan Board of Trustees held their Spring meeting at the Sheraton Hotel in Framingham, Massachusetts, hosted by St. George Cathedral of Worcester. In addition, the Order of St. Ignatius of Antioch held their meeting during that same weekend. The Archdiocesan Board of Trustees dealt with many important issues, including a review of the financial report as of September 30, 2011. By the grace of God, and through the most careful fiscal management, the financial report shows a surplus on a year-to-date basis; however, the budget anticipates that there will be a small deficit for the entire year. AXIOS! Deacon Philip Begley, son of Fr. Thomas and Kh. Beth Begley, formerly of St. Thomas Church in Sioux City, IA and now of St. George Church in West St. Paul, MN, will be ordained to the holy priesthood by the soon-to-be-consecrated Bishop John of the Diocese of Worcester and New England on January 8th, 2012. Deacon Philip is a senior at Holy Cross Greek Orthodox School of Theology in Brookline, MA. 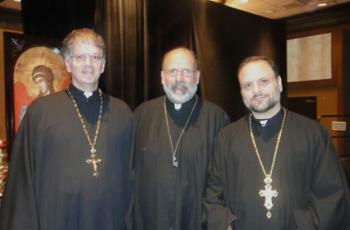 Christopher Bradley, Laurie Bradley, Kathleen Tawa, Don Khouri II, Bishop Thomas, Don Khouri, Fr. Christopher Nerreau, Jimmy Chalhub, Timothy Gwinn, Jamil Samara, and Dennis Rawan. The Fellowship of St. John the Divine in the Eastern Dioceses of Charleston and New York is offering college tuition scholarships for Antiochian students. Watch for the updated 2013 application form, coming soon! If you have any questions, call scholarship administrator Maria Abdalah at: 412-916-4772, or email her at laxg25@aol.com. The completed form will be due June 1, 2013. One (1) scholarship (each) of $1,500.00 and $1,000.00 will be awarded, along with four (4) scholarships of $500.00 each. The awards will be presented at the Annual Eastern Dioceses Parish Life Conference. 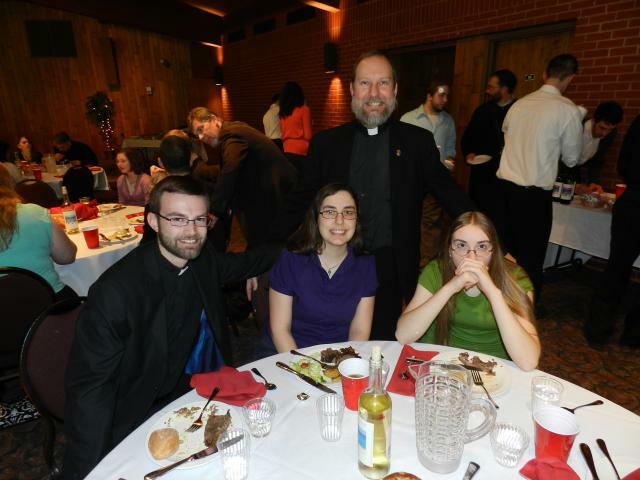 All scholarships are made possible by endowments created by concerned individuals from the parishes of our Eastern Dioceses and fund-raising programs held by the Fellowship of St. John the Divine. We wish you all God’s blessings and look forward to submitting your application to the evaluation committee. On June 20 at the Diocese of Worcester Parish Life Conference in Sturbridge, MA, His Grace Bishop Thomas inducted 8 new members in to the Order of St. Ignatius. 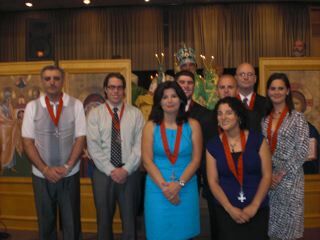 Pictured left to right are Marc El Houssan, Nicholas Kean, Marlene Houssan, George Matook, Miriam Hyder, Nicholas Kourey, Stephen Barber, and Lauren Barber. The Diocese of Miami, the Diocese of Wichita, and the Diocese of Worcester all launched the season for Parish Life Conferences over the long weekend of June 16-20. 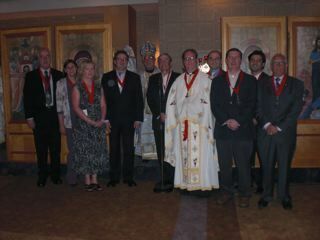 St. George of Jacksonville, Florida, hosted the southern conference with the keynote speaker The V. Rev. Fr. 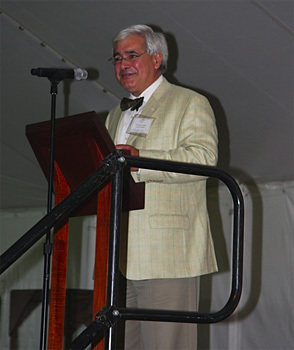 Paul Tarazi featured at the Saturday evening banquet. In the meantime, in Oklahoma City, the faithful of DOWAMA met for their "family reunion" at the Marriott; significantly, the Diocese host parish of St. Elijah was celebrating its 90th Anniversary as a community. In a young ladies' sweep, Nora Haddad won the junior division and Melissa LIkiardopoulos won the senior division in the Oratorical Festival. Back east, St. George Cathedral in Worcester hosted a busy schedule at the Sturbridge Host Hotel in the historic city of Sturbridge, Massachusetts, in honor of the two new mission parishes that had joined the Diocese in the previous year, Emmanuel Church of Warren, MA and St. Stephen Church of Springfield, MA. See the Archdiocese calendar for information on other parish life conferences coming this summer. "The bishops delighted in being together and doing the work of the Church." "The ultimate task was to prepare the Orthodox (Church) of this region...to constitute itself as a canonical, single Church.…It is a huge task, one that a vast majority of Orthodox Christians in America have been praying for, hoping for, talking about, for a long, long time." "It’s as if the Mother Churches have said to us, ‘Look, you have been asking for this. Before we give it to you, we would like to know, what is your plan?’"
"We were blessed by the work of SCOBA….the work of the Episcopal Assembly was made quite easy by the 50 years of preparation." "The Episcopal Assembly is comprised of every Orthodox bishop, not just the primates. We had 55 in attendance, (in New York) where the maximum of SCOBA members would have been 8." Ancient Faith Radio has also posted an extensive interview with Fr. Mark Arey, General Secretary of SCOBA, titled Unraveling the Episcopal Assembly. Additionally, Antiochian.org has compiled a summary of online Assembly articles. His Eminence Metropolitan PHILIP made a visit to the parish of Saint George in Norwood, Massachusetts September 18-20, 2009. The visit was the first by the Metropolitan in many years and the entire parish had anxiously awaited his return. The main purpose of his visit was to celebrate the 90th anniversary of the Ladies Society and to serve a one-year memorial for the pastor emeritus, Very Rev. Father Nifon Abraham. Shortly after his arrival in Norwood, His Eminence met with members of the Church School and Teen SOYO for a lively Q & A session. The Metropolitan thought he had stumped the young folks when he asked “do you know where Saint Ignatius was martyred?” However, one of the teens came up with right answer (which is of course, Rome.) The Metropolitan then enjoyed a relaxing evening with the parish council; they chatted about the upcoming New York Jets – New England Patriot football game, but also serious matters, such as church growth and mission work. On Saturday the Metropolitan and several invited guests were treated to a luncheon prepared by Khouriyee Afefee Abraham. His Eminence presented to her a photo taken of himself and the late Father Nifon Abraham. The festivities on Saturday evening began with Great Vespers and concluded with a celebration banquet for the Ladies of Saint George. The Ladies in Norwood began their work 90 years ago, two years before the parish was actually formed. At the banquet the Ladies president gave Saidna a check for $1,000 to Al-Kafaat in honor of his 50th anniversary in the priesthood.